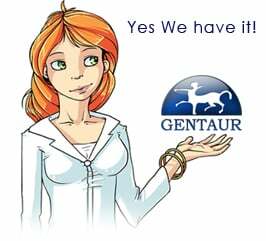 Gentaur antibody-antibodies.com The Marketplace for Antibodies : Gene-wide analysis detects two new susceptibility genes for Alzheimer's disease. Gene-wide analysis detects two new susceptibility genes for Alzheimer's disease. Alzheimer's disease is a common debilitating dementia with known heritability, for which 20 late onset susceptibility loci have been identified, but more remain to be discovered. This study sought to identify new susceptibility genes, using an alternative gene-wide analytical approach which tests for patterns of association within genes, in the powerful genome-wide association dataset of the International Genomics of Alzheimer's Project Consortium, comprising over 7 m genotypes from 25,580 Alzheimer's cases and 48,466 controls.